Apparently our well considered leaders are not very keen for us to go out making our own fuel; they’ve gone to great lengths to discourage growers from making their own fuel and using it on their land, introducing excises and other regressive tools. So for the sake of an argument, what follows here is more example of what can be done rather than instructions – you’ll need to find out yourselves what regulations need to be followed. 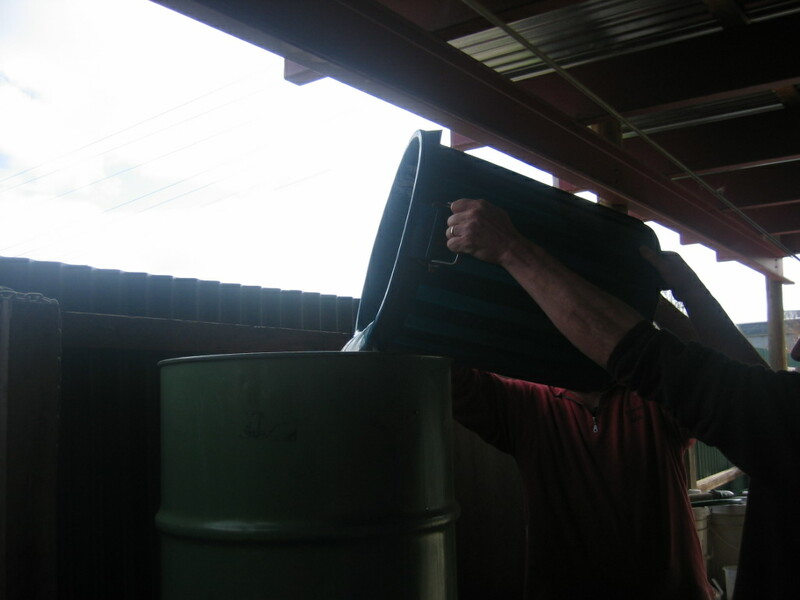 This biodiesel was made from a combination of waste rice bran oil and cottonseed oil collected from local restaurants. 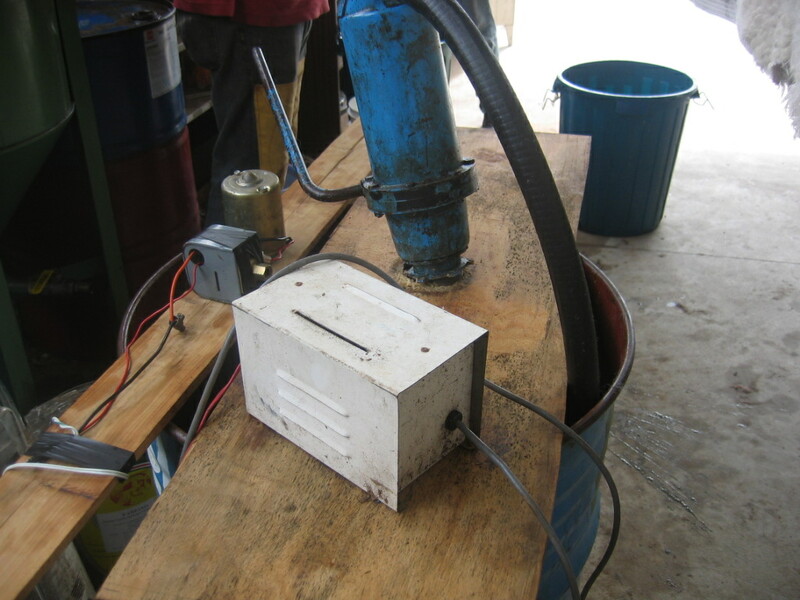 It cost around $200 to set up a mixture which gave around 1000 litres of fuel. 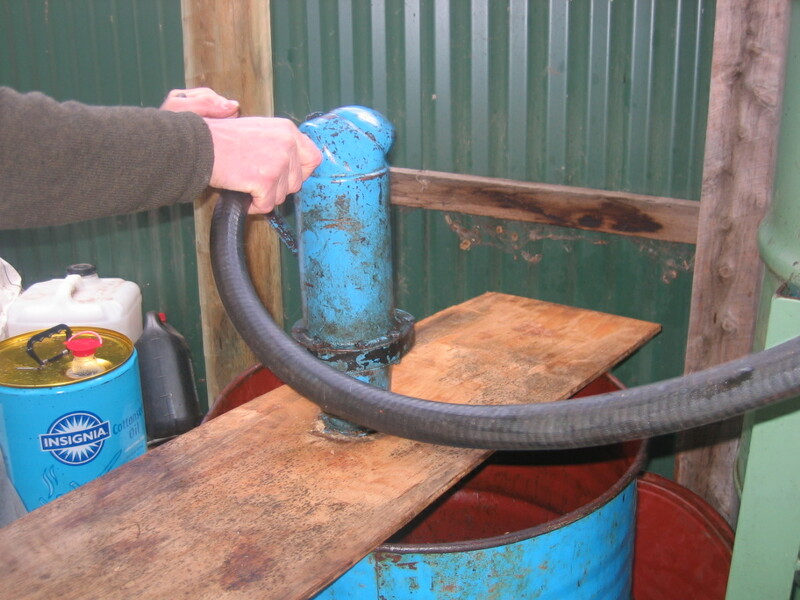 Using the element of an old heater, the oil is raised to a temperature of around 35C, and then hand pumped up to a drum where it is filtered from solids. The rice bran oil is especially clean, so minimal filtering is required. 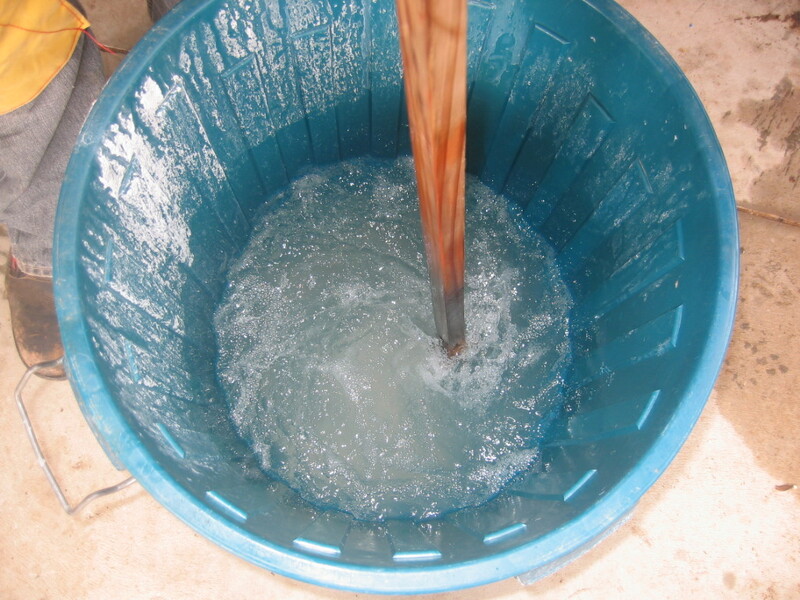 Caustic soda is mixed with the ethanol – it takes awhile for it breakdown – the biodynamic stirring method seems to wort especially well for this! Pouring the mixture into the cleaned oil, it then requires constant stirring. 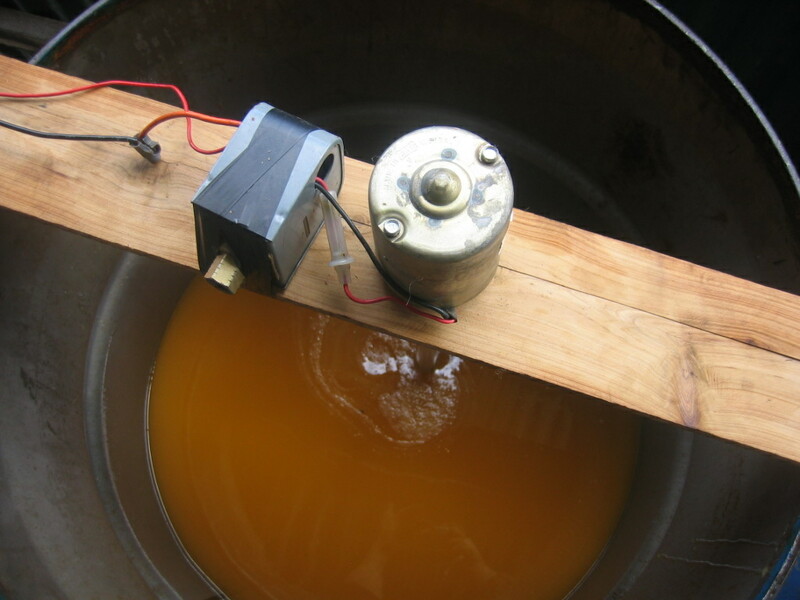 These clever locals have rigged up a small motor to stirring wand, and leave it for a few hours. 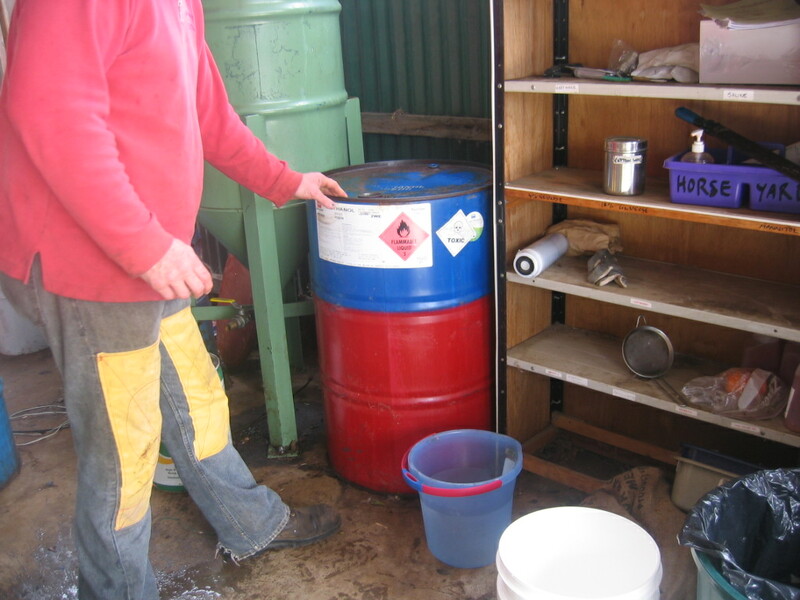 Then all that is needed is to strain it again into cleaned 20 litre drums, and take it to the van. We recommend straining once more through a pair of pantyhose into your vehicle, just in case any large particles have found their way in there. There you have it – clean simple biodiesel; and the only waste is some glycerine which can be used to make hand soap and degreaser.